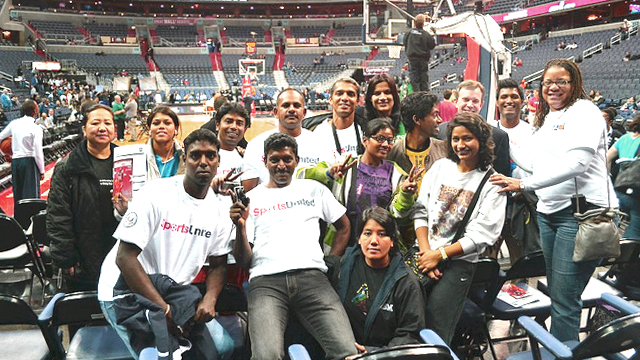 Coaches attend the Washington Wizards vs. Sacramento Kings game. 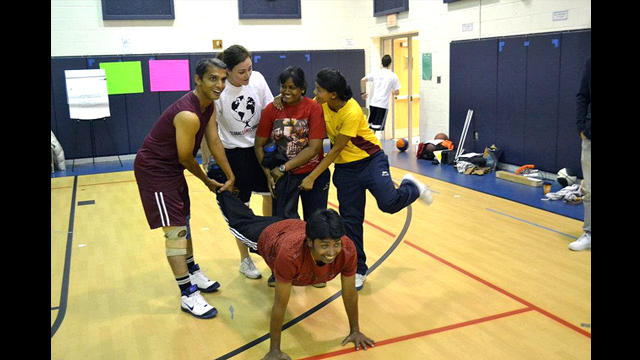 Indian basketball coaches work on dribbling and balance skills in Washington, D.C. 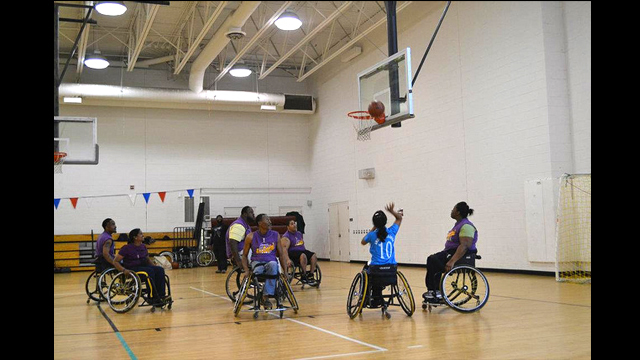 The group participates in a wheelchair basketball game during a session in Washington, D.C.
Buzz “Shot Doctor” Braman led an intensive basketball clinic in Washington, D.C. for the Indian visitors. 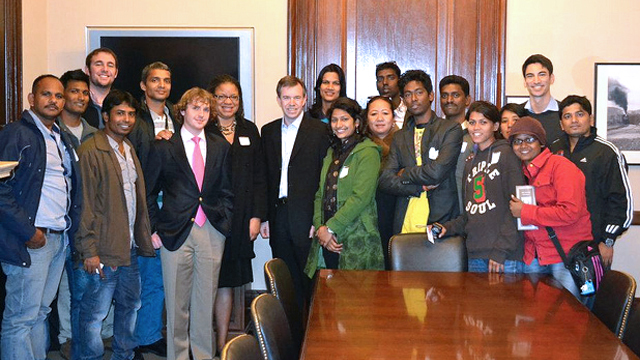 The Indian basketball coaches participated in team-building workshops in Washington, D.C.
Mark Brunner, National Security Adviser to Senator Mark Warner, welcomed the delegation to the Capitol Building. Morning yoga served as a great way to start the day for the group of visiting basketball coaches. 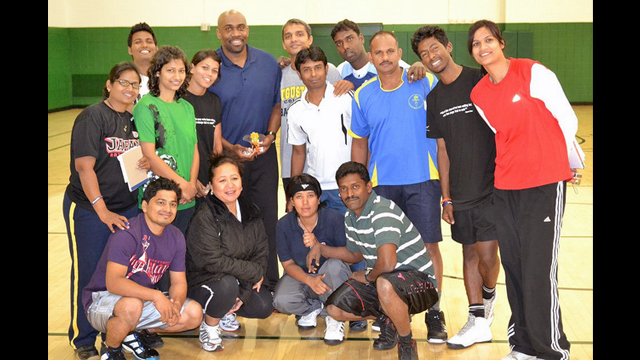 The Indian basketball coaches worked together during a Global Game Changers activity. 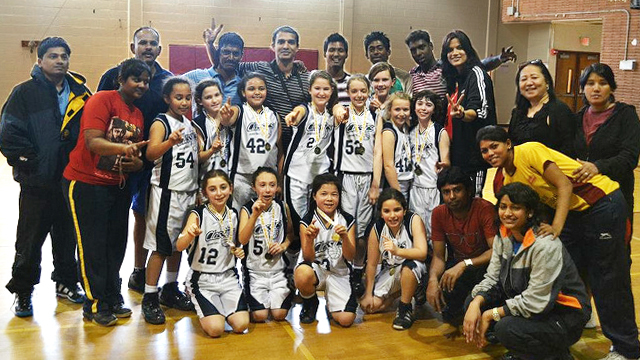 The Indian coaches helped The Classics, a girls basketball team from Washington, D.C., win their championship game. 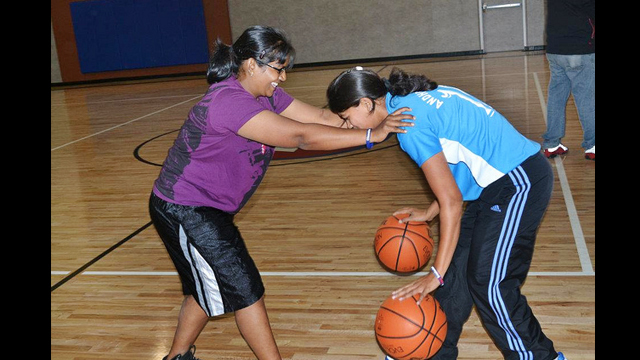 The Indian basketball coaches stayed in Orlando, Florida, where they had an NBA Jam Session. The group poses after a basketball session with Coach Joe Touomou, former Georgetown player. 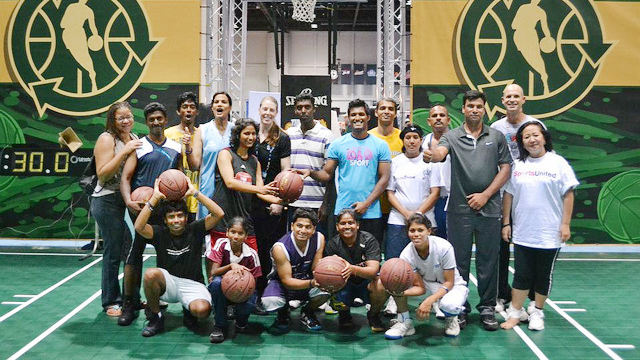 The U.S. Department of State conducted a Sports Visitor exchange with India. 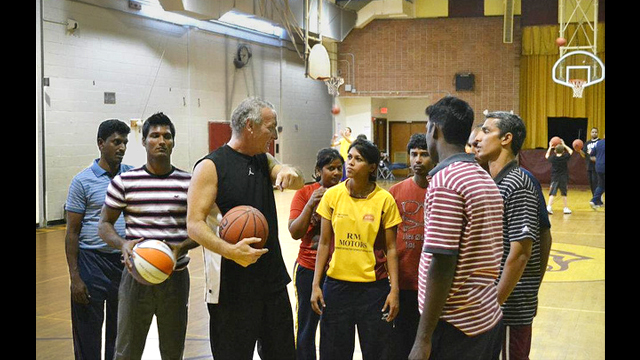 During this program, ten male and female Indian coaches visited the U.S. for a ten-day basketball program. 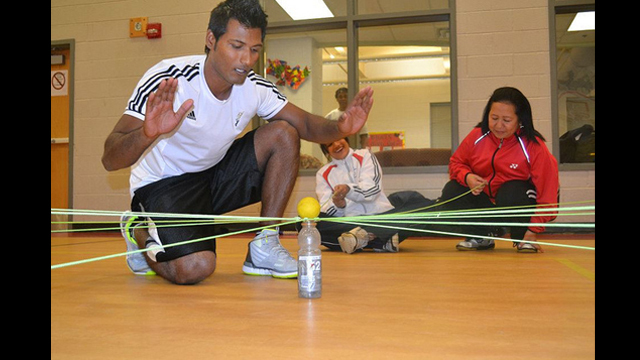 They met in Washington, D.C., with professionals in the sports sphere, worked with young American athletes at local schools, and engaged in activities focused on teambuilding and injury prevention. For the final days of their program, the group stayed in Orlando, Florida, for intensive coaching clinics at the University of Central Florida and participation in NBA Coaches clinics.